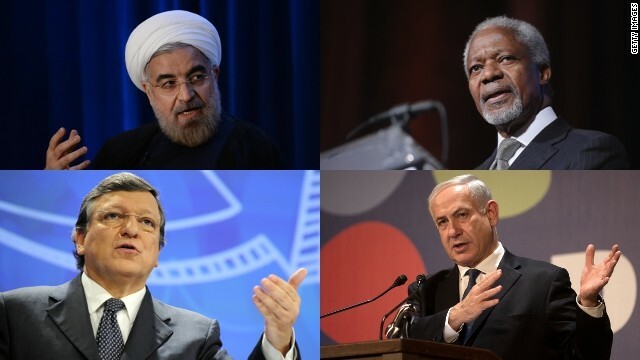 At 1010, Iranian President Hassan Rouhani will take the stage to discuss his country's position in the world. Tony Abbott, Prime Minister of Australia, currently chairing the G20, will address the forum at 1040. 1230 Immigration - Welcome or not? The rise of migration in Europe represents opportunity for some, but threat for others. Should governments improve their integration policies or impose barriers to entry? Former U.N. Secretary General Kofi Annan, Goldman Sachs chairman Peter D. Sutherland and European Parliament's President Martin Schulz will be giving their insight on the topic. With growth rates at half their pre-crisis levels, concerns arise that the golden age of emerging markets growth may be over. Ministers of India, South Africa, Brazil and Russia will discus what some call "BRICS Midlife Crisis." Join them at 1300. Then, there's a special address by Benjamin Netanyahu, Prime Minister of Israel, at 1415, Enrique Pena Nieto, President of Mexico, will follow him at 1545. At 1615 a panel on the humanitarian crisis in Syria gets underway. This is an economic forum, but Syria's civil war can't be ignored. More than 2.2 million Syrians fled their homes since the civil war started, and more than half of them are children. Peter Maurer, the president of International Red Cross, UN High Commissioner for Refugees Antonio Guterres will discuss what more can the international community do to respond to this urgent humanitarian crisis. Joining them will be foreign ministers of two of Syria's neighbors -- Jordan's Nasser Sami Judeh and Ahmet Davutoglu from Turkey. To finish the day, at 1715 three European Prime Ministers -- Italy's Enrico Letta, Irish Enda Kenny and Sweden's Fredrik Reinfeldt will join Jose Manuel Barroso, the President of European Commission to discuss Europe's transitioning from crisis response to -- hopefully -- crafting a long-term strategy for competitiveness.